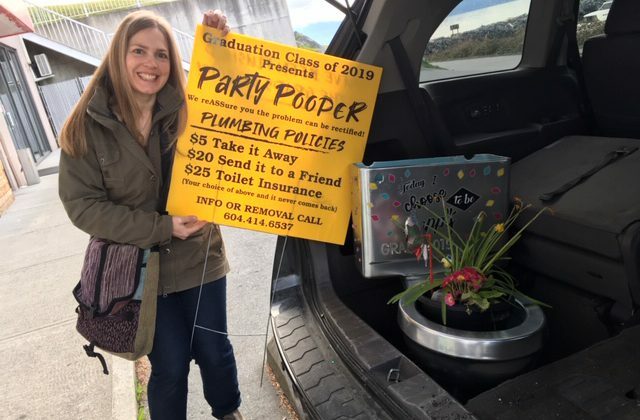 After the graduation ceremony the kids will be able to have a fun alcohol-free and drug-free night, according to Brooks Secondary parent Alison Foss. The night is supervised so every student stays safe, but with all that in mind the price of the night can get quite high. “The goal is to bring the cost down for the kids because the night is going to cost thousands of dollars.” said Foss. They are calling their fundraiser, the Party Poopers. It involves two toilet bowl lawn ornaments. The hope is to give the kids a fun night to remember. They have currently raised $2,500. 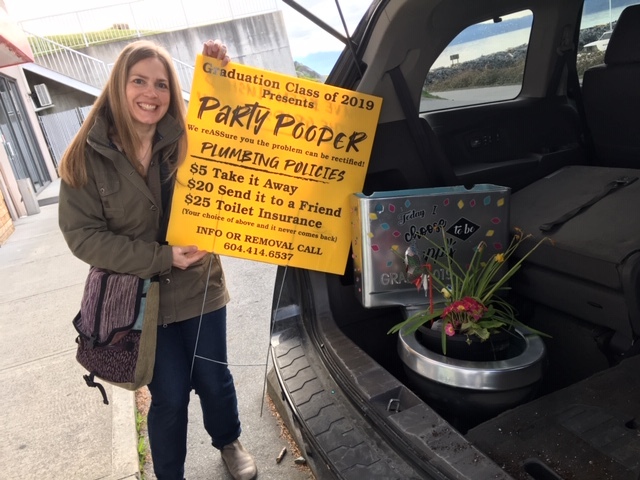 The fundraiser is still on, to send off one of the toilet bowels contact Foss at 604-414-6537.